This week’s Sound For Sound entry was right on time, and easy work in terms of relevancy to boxing. 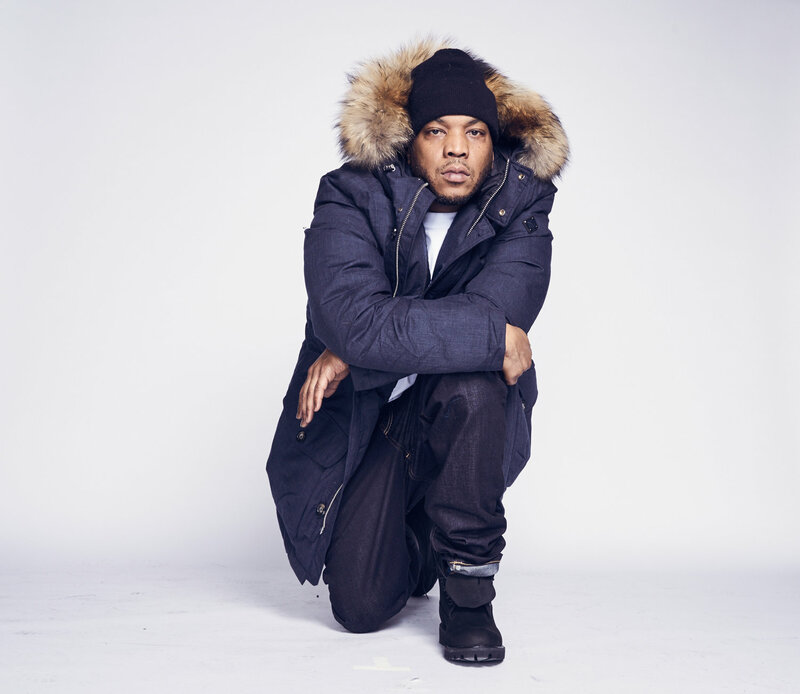 Veteran rapper Styles P’s latest song and video “Never Fight an African” could be known as the “Curtis Harper Song” in boxing circles. Or, how about “An Ode to Femi” fight fans? That is unless, unified Heavyweight champion Anthony Joshua’s rumored “90-percent-done” bout with Brooklyn’s Jarrell Miller is officially announced. Safe to say the former Bad Boy artist and member of Yonkers’ The Lox trio wasn’t thinking of any of these boxing references when he wrote “Never Fight an African” – the lead-off single for a forthcoming project entitled Dimebag. With “fight” in the song title, the track is tailor-made for a Sound For Sound entry. However, the song is also apropos because later today on Top Rank’s ‘Super Saturday’ card on ESPN/ESPN+, Ghanaian Lightweight contender Richard Commey (27-2, 24 KOs) fights Isa Chaniev (13-1, 6 KOs) for his second shot at the vacant IBF 135-pound world title. The first time Commey fought for the vacant IBF title in September 2016, he scored an eighth round knockdown versus Robert Easter, Jr., but two of the three judges cards dealt Commey his first loss, and crowned Easter the new champion. Styles never says “African” throughout his two and a half verses, so one may struggle to understand the connection between the lyrics and the song’s title. However, the song opens with the sounds of drums from the motherland and a heavily accented voice that says, “shout out to all real Negus.” Additionally, producer J Rhodes adroitly incorporates elements of chanting throughout the verse before featuring whatever’s being sung, in its entirety, for the chorus. The track’s percussion maintains a tribal feel beyond just the intro, and if anything else is misunderstood concerning the title, the treatment’s visuals – crafted by director King Joox – return African culture to the forefront of a hip hop video in a manner unseen for a decade or more. A trio of performers, including a nearly 15-feet tall masked giant walking on stilts in a vibrant red-yellow-green outfit, accompany Styles as he travels through an inner city community seemingly on a “if you won’t come out and support the festival we’ll bring the festival to you” mission. At the final press conference for tonight’s ‘Super Saturday’ show featuring the Light Heavyweight world championship rematch Sergey Kovalev vs. Eleider Alvarez, Commey expressed how the narrow 2016 decision loss helped forge the heightened sense of urgency he’ll fight with at Ford Center at the Star, the practice home of the Dallas Cowboys. Throughout the years several African fighters have risen to prominence in boxing. A few who quickly come to mind are Azumah Nelson, Ike Quartey, Joshua Clottey, and one of the first really dope boxing nicknames this writer ever heard in John “The Beast” Mugabi. At the moment, a couple of popular African fighters are the aforementioned unified Heavyweight champion Anthony Joshua dominates social media mentions – in a rampant mix of good and bad publicity – and all-action Super Bantamweight Isaac Dogboe before suffering a brutal setback at the hands of Emanuel Navarrete in early December. Heavyweight prospect Efe Ajagba made some noise with the buzz of the infamous Curtis Martin ring exit, but is still untested as he continues to develop. Undefeated Andrew Tabiti awaits details for his next assignment in the semi-final round of uncertain WBSS Cruiserweight tournament. Good luck to Commey tonight in Dallas (ESPN 10 p.m. ET), world champion status is the supreme goal, but a win almost certainly secures a coveted 2019 date with boxing’s pound for pound king Vasiliy Lomachenko. Next week in the opener of Showtime Championship Boxing’s Gervonta Davis vs. Hugo Ruiz, Uganda native Sharif Bogere has a chance to prove he’s worthy of a world title shot if he can get past former champion Javier Fortuna. Fight fans don’t have to wait long to see whether Styles P’s warning really has juice.